In 2005, Amy Oestreicher’s life was good. 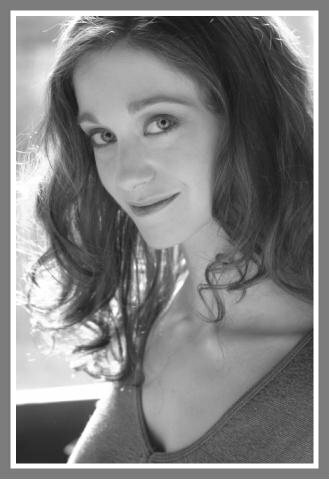 After years of acting and singing locally, and auditioning in New York, she had just been accepted into the very prestigious University of Michigan musical theater program. Suddenly, Amy suffered a major blot clot. Her stomach exploded. She lapsed into a coma. During the 1st week of that nightmare, she had 10 surgeries. Doctors removed her entire stomach. Her coma continued for months. For nearly 3 years, she could not eat or drink. Not one morsel of food, or a drop of water. The Oestreichers moved to a smaller house near Compo Beach, where they could better help Amy. She was hungry and thirsty. But as soon as she realized what lay ahead, Amy vowed not to be a permanent patient. “I wanted to live life,” she says. But she got the female lead — Nancy — and managed to do the show. By the end of the run, she was drinking 2 ounces of water a day. Surgeries continued. One took 19 hours, using 3 shifts of doctors and nurses. The outcome was not as good as expected. Finally, though — 27 surgeries later — Amy can eat and drink. She’s also — at 26 years old — just been accepted at Hampshire College. Before she goes away to school, though, she’s working on another project. 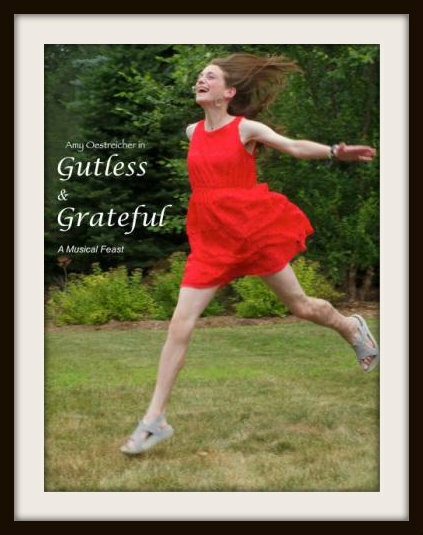 “Gutless & Grateful: A Musical Feast” is Amy’s 1-woman show. Written by Amy and Jerold Goldstein — based on hundreds of pages of her journals — it returns to Bridgeport’s Bijou Theatre June 1 and 2. 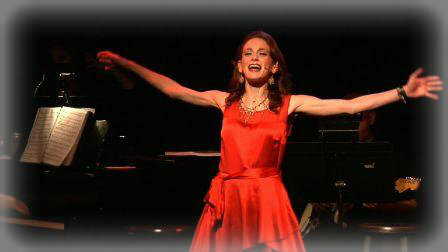 On June 16 and 24, Amy takes her show back to the Triad, and on July 16 to Pittsfield, Massachusetts. You and I may not call the past 8 years of Amy’s life “funny.” The fact that she does — and sings and talks about it with such intimacy, gusto and pride — is reason enough to put “Gutless & Grateful” on your calendar now.